Pioneer Tarp systems are for sale at BENLEE. This includes the rp4500. We have tarps, arms, motors, cylinders, springs and more. This is for Dump Trucks, Dump Trailers, roll off trucks, roll off trailers and more. We have replacement parts of all kinds. We are a Dealer, Distributor of all types of replacement parts in stock. We have parts for roll on roll off trucks, trailers and more. Of course we have G1665, G1665A and complete systems for sale, as well as arm springs, tarps, rollers. Call us for a manual and installation instructions. Dump Trucks, Dump Trailers, Roll off trucks, roll off trailers and more. Compete Taping systems. Dealer, Distributor of roll off parts, and Pioneer Tarp Systems. Roll Rite Tarp systems, roll rite tarps and Roll Rite parts are all in stock at BENLEE. We have roll off trailer parts of all types in stock, including Roll Rite Tarp Systems and Parts. 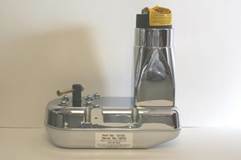 We ship all parts same day, so you can call us at 734-722-8100, or come to our parts store at www.benlee.com. This includes, motors, arms, switches, relays. We have 10310, 10120, 1012, 10200 and more. We are a Dealer, Distributor and we do Installation! Roll Rite Tarp Parts are a specialty of ours. We have Roll Rite on our website store at www.benlee.com and we have most key parts, tarps and motors in stock. SAME DAY SHIPMENT. Call us at 734-722-8100. Motors, switches, relays, dump parts. casters and more. 1012, 10200, 10120, 10310.